Architect: Hussey, Gay, Bell & DeYoung International, Inc.
Gilbane served as construction manager for the replacement and partial renovation to one of the oldest schools in Savannah, 50-year old Beach High School that holds significant historic value in being the first school in Georgia to educate freed slaves. 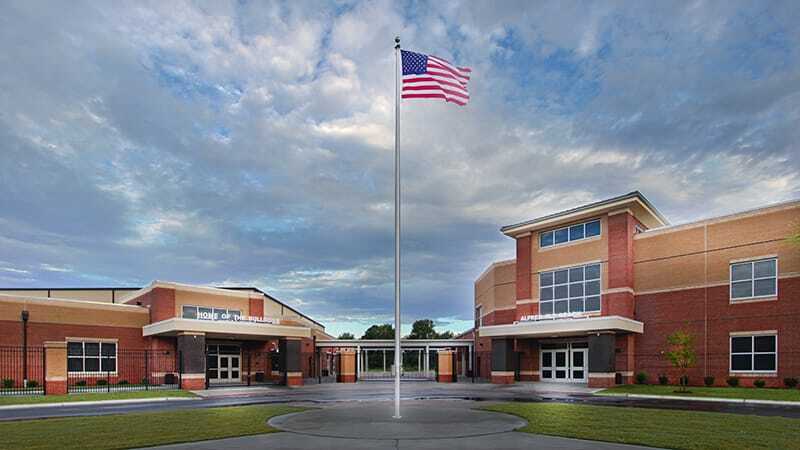 The new high school boasts 150,000 SF of new construction and 57,000 SF of renovations to house nearly 1,000 students. Four separate specialty academies of grades 9-12: ninth grade, liberal arts, business and an allied health. New features entailed a kitchen, cafeteria, and a centrally located administrative area for easy student and campus management. 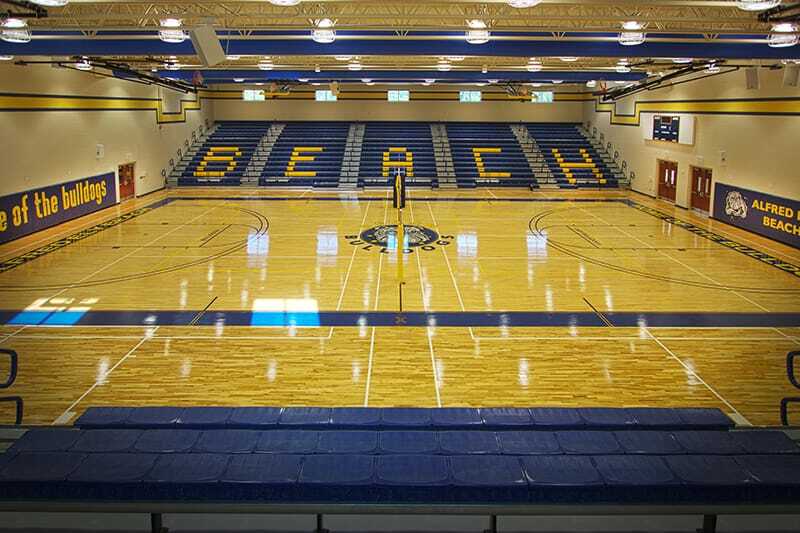 A significant highlight is the 2,000-seat, competition-grade gymnasium featuring locker and dressing rooms, physical education classrooms, weight rooms and concession areas. 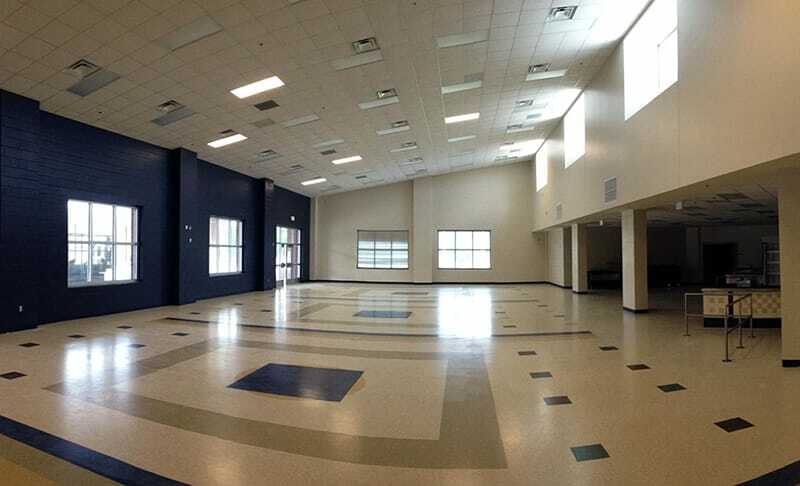 The former media center was converted into the new Allied Health medical magnet program. 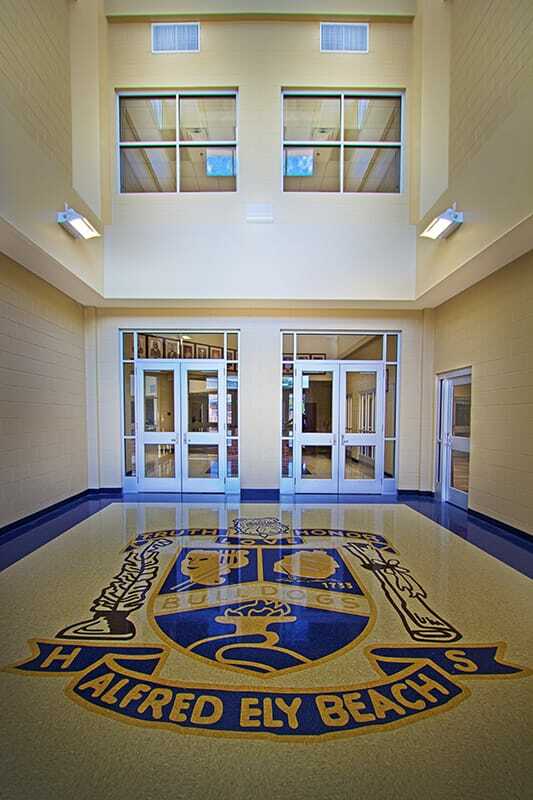 Enhanced security by zones includes glass break sensors placed throughout the school. During our review of the building envelope in the design document phase, we engaged the services of a specialty envelope consultant to review the details to ensure the envelope was weather tight and that thermal and moisture intrusion measures were followed. These additional inspections and review, although not part of the contract documents clearly indicated a need for testing of the windows and door systems onsite and was included in the approved guaranteed maximum price. This process was proven to add value in finding and resolving issues of missing details that required finding the right products adding a clear benefit of providing the Owner a weathertight building for years to come.